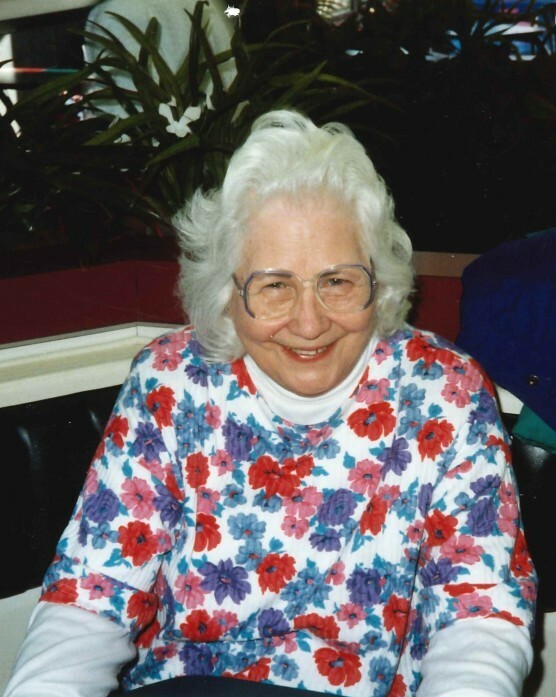 Ruth H. Grimm, age 97, of Canal Winchester, died Sunday, November 4, 2018 at McNaughten Pointe. Born August 12, 1921 in Cincinnati to the late Edward & Louise (Erdman) Beyer, she was a graduate of Hughes High School in Cincinnati. Preceded in death by her husband, John R. Grimm in 1991; and sisters, Edith Beyer, Anna Beyer, and Esther Williams. She is survived by her children, John (Susan) Grimm, Strongsville, James (Carol) Grimm, Toledo, Ann (Gordon) Burke, Reynoldsburg; caring grandmother to 7 grandchildren and 10 great-grandchildren; and loving aunt to many nieces and nephews. Friends may visit 2-3:30 pm Saturday at the DWAYNE R. SPENCE FUNERAL HOME, 550 Hill Road N. (St. Rt. #256), Pickerington, where funeral service will follow at 3:30. Interment will be later at Miami Valley Memory Gardens in Centerville. In lieu of flowers, friends are asked to contribute to the charity of their choice in Ruth’s memory.